A month or so ago I received an email from VMUG announcing some upcoming events one of these was the Caroline VMUG Summit 2012 in Charlotte, NC on May 15. I decided to make plans to drive down for the conference. Not sure if this is the same for all VMUG conferences but the Carolina VMUG Summit was free to attend. The morning Keynote The Past and the Future of VMware Storage by Satyam Vaghani. Very interesting talk on the development of the vmfs file system and a glimpse into what the future may hold. I did not take notes during the keynote, I thought I would retain more about it than I did. Hopefully the speakers slide deck will be available on the VMUG site. I enjoyed the keynote but with everything else that went on in the day I just did not retain a lot from it, I should have taken notes – lesson learned. I took a quick walk through the sponsor/vendor exhibit area. The event was well attended by vendors but I did not spend a lot of time in there. Not really looking for any new solutions right now. I did take a minute to look at a Mitel VoIP/Unified Communications platform that I may do a little more research on when I have some time. Other than that I grabbed a few business cards, a couple pieces of vendor swag (you can never have enough can koozies), and headed to the first session. Here are some quick summaries and some highlights from my notes of the sessions I attended. vSphere Distributed Switch Technical Deep Dive by Jason Nash. Jason’s presentation on vSphere Distributed Switches was packed full of information. He covered a lot of technical information in the 45 minutes. – Distributed Switches are not just for large environments. – Use multiple Port Groups or multiple Distributed switches to separate traffic. – Edit uplinks names to assist in documenting the environment. – vCenter resiliency is becomes more important when using Distributed switches. – Do not allocate more uplinks and/or ports then needed. More uplinks and ports equal more memory usage on hosts. Keep this manageable. Uplinks and ports can be added as needed. – Use Static Binding unless you have a specific reason not to. – 10Gbe is becoming the new standard. Cody gave an interesting, and entertaining, talk that provided a good overview of the “weapons grade automation” that can be achieved with vCenter Orchestrator. – vCO gets it’s power from the plugins. – Can be used to integrate and automate things outside of the vSphere environment. – Make workflows as self documenting as possible. – Cody also gave away a few of his Automating vSphere: With VMware vCenter Orchestrator during the session. After lunch I visited the Varrow Hands-on Labs. 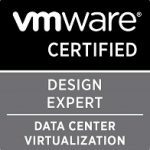 I was able to do both the VSI lab and the VNX lab. There was no wait for the lab and the environment worked very nicely. A little sluggish here and there but over all a great lab experience. The lab instruction were also well done. I was able to complete both labs in about 45 minutes or so. Enjoyed the labs – great job Varrow! vSphere and Network-Attached Storage Design Considerations by Scott Lowe. Scott is an excellent speaker and gave a great presentation on NAS design considerations. A lot of great information was covered in this session. – If using DNS name is only resolved once. Round Robin is supported but DNS resolution still only happens once and IP is cached. – In Link aggregation aggregate bandwidth increases – not the per-flow bandwidth. – Link aggregation provides some redundancy but does not increase bandwidth. – No concept of multiple paths to datastore when using NFS. Multipathing must be done/managed at network layer. – Most workloads are not bandwidth constrained. – To increase bandwidth a faster transport (10Gbe) must be used. – Keep iSCSI and NFS traffic separate – separate vSwitches, separate subnets. – Datastore Design – not just how many VMs you can put on it but how well are they going to perform. – Jumbo frames adds complexity and provided minimal benefit – can be more trouble than its worth. 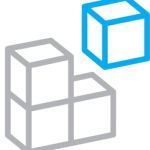 – NFS might not be the best option for high bandwidth workloads. – NFS might not be the best option for applications that are extremely latency sensitive. At 4:00 PM I decided to try to beat some of the traffic out of Charlotte so I did not hang around for the wrap up or give-a-ways. A great users group event and well worth the 5 hour drive. Gathered some new knowledge and met a couple of cool people. Looking forward to the next one. I will update this post with links to any of the presentation materials if/when they are available. 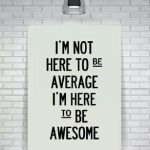 Get involved in your local VMUG. You can access some of the presentations from the Carolina Summit here. 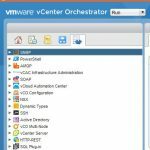 You need a VMUG account to access them.